It's a good thing these are quick! I realized after they were finished, that I'd made the Hearts for New Zealand incorrectly. They were the correct size but the wrong design. Today I remade them, top row, and I'm sending both sets because both will work with their quilt design. Now I'm all caught up and I'm going to actually start a project of my own, a Red and White quilt. I've been wanting to make one for ages and I've been collecting fabric; so now I'm ready. Five 6.5" Flutter blocks are for the 2019 Inspiring Stitches Hometown BOM. These are the April blocks. I improvised because I didn't like the instructions, but the results are the same. 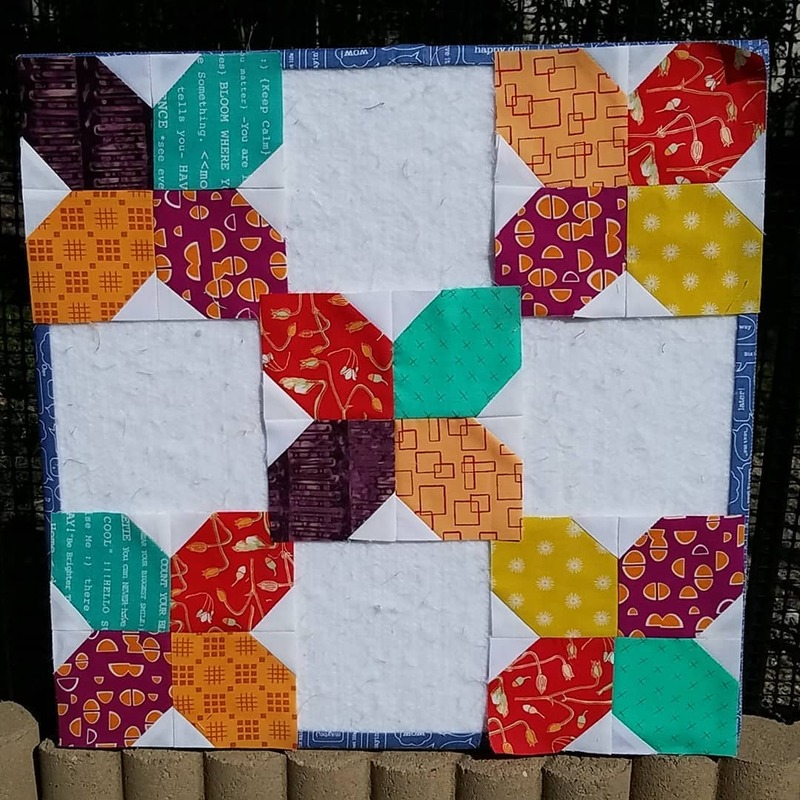 These five 6.5" Posey blocks are for the April 2018 Inspiring Stitches Heartland Heritage Quilt. I'm working ahead because I want to start a new quilt next month.